TOPIC: [SOLVED] How do I install ReShade for Minecraft? So I recently found out about reshade, and I've already managed to get it working nicely on SpaceEngine and I'd like to try it on Minecraft too but I can't figure out how. I have some questions too. Can you install Reshade for minecraft using the setup provided with sweetfx or will only manually work? And if I use the setup, what .exe file do I choose in the java bin directory? There seems to be a lot of them. And am I using the right directory in the first place? Right now it's C:\Program Files\Java\jre7\bin, is that the right directory? I am using 0.13 and currently I don't seem to get any .log files. Last Edit: 4 years 3 months ago by RockoRocks. In case of all Java games the automated install probably won't work. The Java runtime executable running those is "javaw.exe" or sometimes just "java.exe". But running the setup tool on those probably won't give any result, as they are just responsible for executing the Java code, not for anything gamespecific (in this case Minecraft), like rendering with OpenGL. Does this also work with jre1.8.0_31 or only with 7? Doesn't matter. It's important to find the right Java directory though. It's common to have both 32 and 64bit Java installed (in "C:\Program files (x86\Java" vs "C:\Program files\Java"). 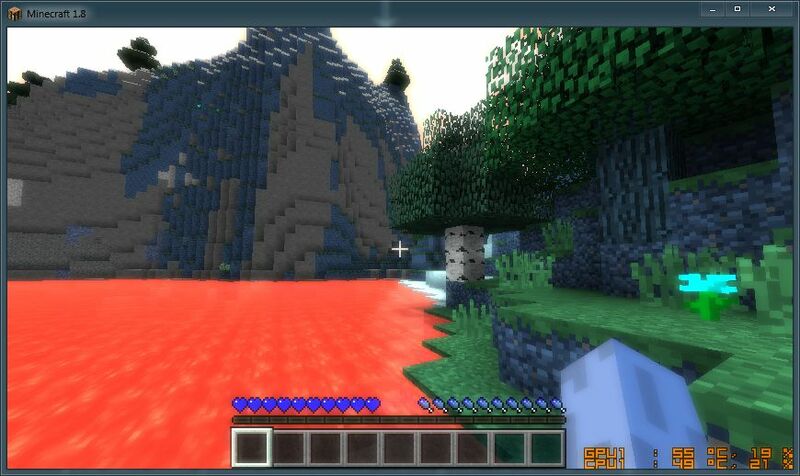 You need to pick the one your Minecraft uses and choose the appropiate ReShade DLL (32 for 32bit, 64 for 64bit.). I'm a little confused about that Java dir right now: I installed Minecraft first and had no Java directory at all. So I installed Java afterwards and now "C:\Program Files (x86)\Java\..." is the only java dir I have. So which directory could minecraft possibly be using? - Found it - now let's see if it works! Last Edit: 4 years 3 months ago by reTrOBIAS. I got it working, but I ended up with something like this. Seems to invert some colors (Blues and reds)? I tried different shaders, all with the same problem. EDIT3: RESOLVED! I just updated my GFX drivers and it worked! Last Edit: 4 years 2 months ago by GERgta.